We can save considerable costs by training in-house using our assistance rather than moving to a central provider. All our design staff are qualified training designers, assessors, and trainers. We are ISO 9001 approved and will use this quality management in all aspects of our delivery and Service. You have control of your courses, trainers and learners. You save money as you don’t need to employ people in your own accreditation centre so these can be placed on front line services. This can be a saving of approximately £70k alone in wages (not including pension, infrastructure, centre fees, IT etc). Why send people to a central training centre when they are expensive? It means you have to fill the place of the missing person and in some cases have to provide additional training when they return as the centre offers only a generic package and not one tailored to your specific needs. Why not collaborate with surrounding fire services and use WFST Ltd as a joint accreditation centre to save more costs? When you use WFST Ltd you use your own instructors so your specific requirements are still at the forefront of all your training. This leads to a significantly increased amount of fidelity and less training time as you don’t need to send people to a central location that don’t understand your own specific needs, procedures or equipment. As you will be accredited and the courses are yours, it means you have the opportunity to sell these and recover any training costs. Importantly you only pay for what you need. Why pay a huge amount of money for little return. Our services is ‘pay as you click’ this means you only pay for what you need. WFST Ltd course designers and assessors have a multitude of experience in providing training programmes and specifically course design work using frameworks that meet ISO 9001:2015, National Occupational and Regulated Qualification Framework (RQF) Standards. We often find that Fire Services in most cases, have in place quality training systems and the trainers are operating at the highest level. We also find that it is the documentation and or assessment strategies that are lacking to prove the current training system meet accredited requirements. 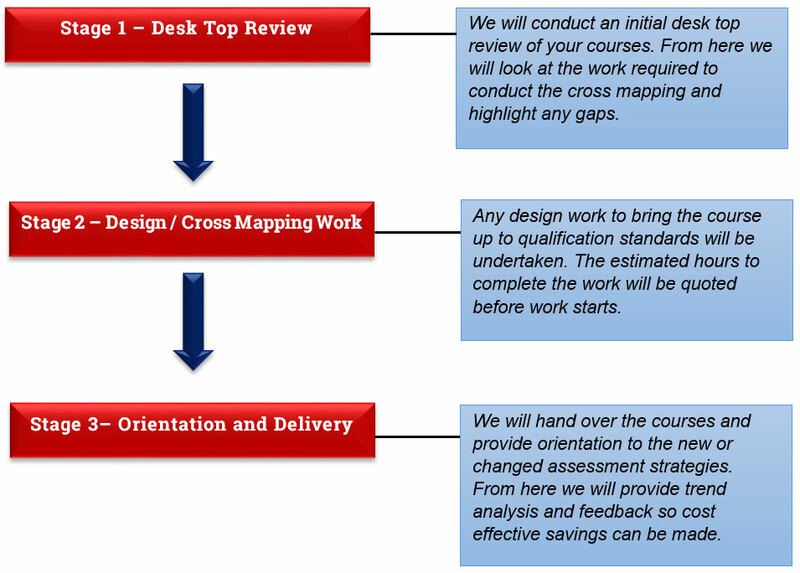 When we undertake cross mapping of your training, we will look at your current courses/ training systems and provide assistance in cross mapping through Recognised Prior Learning (RPL). This stops you re-inventing the wheel and ensure that good aspects of the training are kept. Call us on 0800 689 4999 to source the bespoke, legally compliant training solution your business has been searching for.